The project involved the construction of a new leisure facility on the campus of the existing college. To facilitate the construction an existing tired and infrequently used teaching block was demolished and the site cleared. 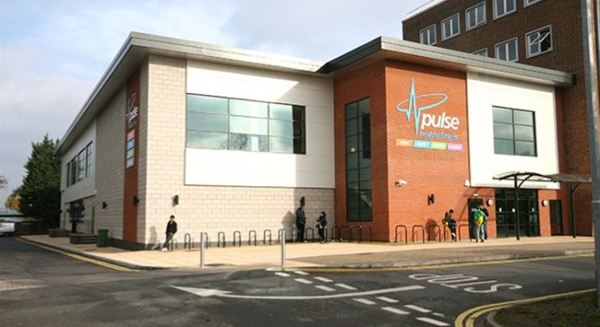 The facility comprises of an 18m swimming pool, steam room, sports hall, 80 station gym, three dance studios and a student activity zone and offers membership to both private members and students. The new facility was required to achieve BREEAM Very Good which was achieved through collaboration with the design team. Through careful consideration of appropriate renewable technologies and details Energy calculations and a B100 Biodiesel Boiler was introduced providing the primary heating and hot water provision. The completed project achieved an Energy Performance Certificate (EPC) rating of ‘A’. Further environmental considerations were considered with all rubble from the demolition site being recycled and used within the construction of the Olympic Stadium. As part of ongoing development of the facility a refresh and upgrade of the was undertaken in 2015 involving the extension of the existing Gym, upgrade to pool lighting with colour change LED fittings, introduction of a Steam Room and general redecoration.